It’s been a while since I’ve done one of these, but it’s a good time for them, since I’ve seen a couple of movies, none of which necessarily warrant a longer write-up. Of course, having said that, I’ll probably write more about each than was originally planned… Anyway, without much further ado, here goes. I’m not really familiar with the Iron Man comics. I’ve read the occasional Marvel comic, but my interest was usually piqued by a writer doing a limited run, say, Joss Whedon or Brian K. Vaughan. I very much enjoyed the first Iron Man film for its sense of fun, something that Christopher Nolan’s po-faced Batman movies very much lacked. 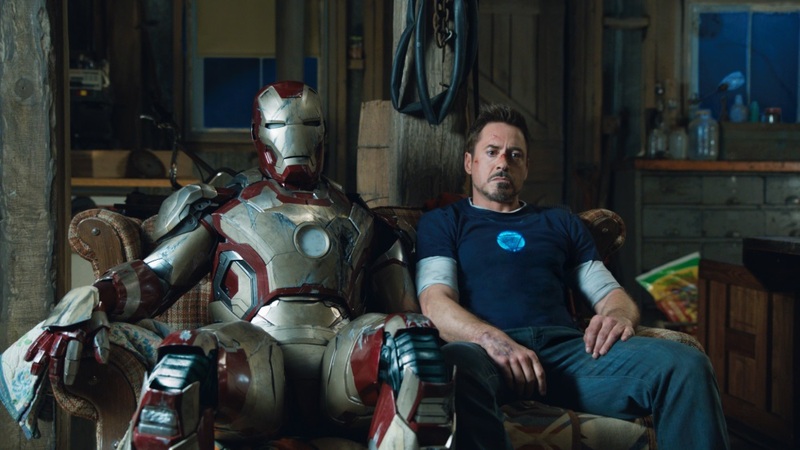 Iron Man 2, though… The less said, the better. Even Robert Downey Jr couldn’t salvage that one, nor could Don Cheadle joining the cast to replace Terrence Howard, an actor I have an irrational dislike of. I went into the third Iron Man film expecting RDJ being RDJ, plus some cool, exciting action set pieces. What I wasn’t expecting, though, was a super hero movie almost as good as The Avengers. The latter does that thing Whedon does so well, bringing together an ensemble and playing them off each other in great ways, but it’s flabby in its structure and pacing. Iron Man 3 is also too long, but damn it, if it doesn’t entertain almost during its entire run! Shane Black’s script is great fun and a surprising amount of wit, the action is exciting, and (comic readers, you may want to skip to the next paragraph) the Mandarin’s re-invention is clever and effective, with Ben Kingsley having more fun than he’s had since his guest appearance on The Sopranos. I’d say that this film is the second-best of the Marvel films to date (admittedly, I haven’t seen Captain America, which supposedly is great popcorn cinema too) and better than The Avengers in a couple of ways. Hey, it’s even made me enjoy Gwyneth Paltrow, which is a rare occurrence these days. There was a time when I would have been deeply sad for Steven Soderbergh to retire from movie making. These days, not so much – while I did enjoy Contagion, as depressingly eager as that film was to kill off everyone I cared about, I came to enjoy Soderbergh most during his productive phase in the late ’90s and early ’00s, and most of his films in the last ten years haven’t done much for me. He’s always been eminently skilled, but I found his Che rather unengaging, The Informant! felt like it wanted to be a Coen Brothers movie instead, and Ocean’s Thirteen was a tired retread of Ocean’s Eleven (whereas the more flawed Ocean’s Twelve was, unexpectedly, a formally daring slice of Nouvelle Nouvelle Vague). 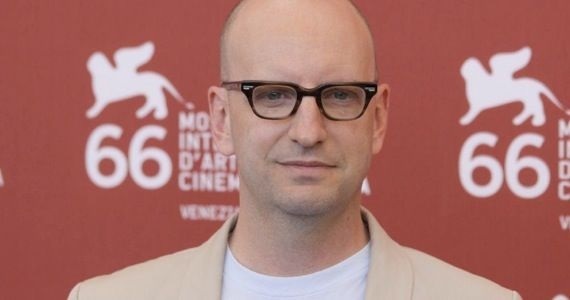 Little of Soderbergh’s filmography in the last decade has held my interest other than in a rather abstract, “Let’s see what he’s doing this time” way. Apparently Side Effects is his last movie, although it’s likely he’ll still be making films for TV – at which point the distinction becomes somewhat moot, especially for someone who watches most things on DVD and Blu-ray. Is it a worthwhile sort-of-swan song? Well, let’s put it like this: I won’t remember much about the film in a month or so. It’s an effective genre piece, the sort of thriller that’s constructed like clockwork, and it did manage to surprise me once or twice, but as so many thrillers that put the emphasis on structure rather than characters it comes off as a rather empty experience in the end. There’s a mean streak in the script, which is undercut by Soderbergh using a rather clinical style; shot differently, say by a Brian De Palma, the film would feel sleazy, whereas now it feels like a stylish but very slight genre piece, with a number of interesting tangents simply not developed further. In the end, I came away reasonably entertained, but I don’t think the film will leave much of a trace in my mind a month from now. Except the glib ending that pushed the reset button on one character and the effects the story has on him: that one I’m likely to remember for a while, but not in any good way. Ah well. I won’t mourn for Steven Soderbergh, based on this film. I’ll just go to my DVD shelf and get out Traffic, Solaris and Ocean’s 11. And if I really need a fix, I may just give that Behind the Candelabra a camp, over-the-top twirl. Next Article Ah, but is it a classic?